On October 16, 2018, Taste of Immokalee served up lunch at the acclaimed Miami Restaurant, Blue Collar. 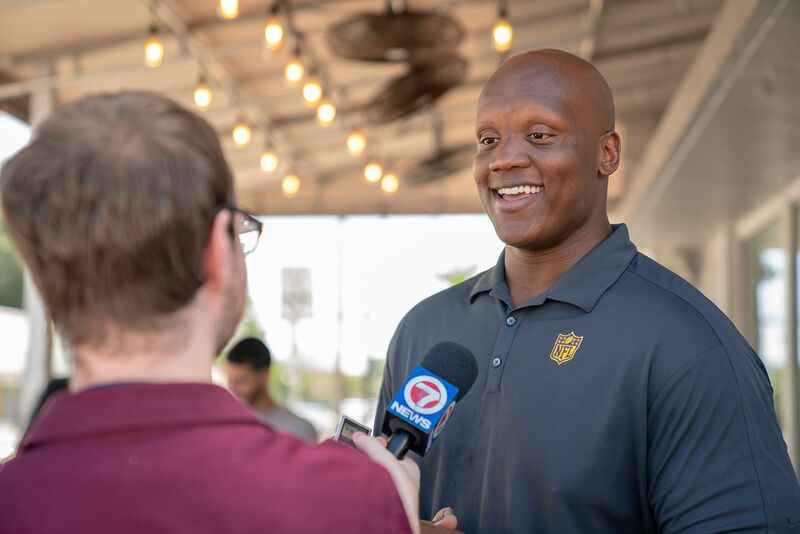 Chef Daniel used Taste of Immokalee products to create special dishes for the VIP attendees, including Miami Dolphins players Ja’Wuan James, Kenny Stills and Kenyan Drake. The luncheon was covered in this 6pm news segment by WSVN Fox Miami (Channel 7). Special thanks to Chef Daniel Serfer, Owner and Executive Chef of Blue Collar, and WSVN Miami for covering the event.